I’ve never actually studied Latin, so I don’t know for sure that it makes more sense grammatically, but it wouldn’t surprise me. As an influencing language, it is easy to assume that Latin would be simpler than the languages that it influences. On the other hand, English is an influenced language. What I mean is that English, especially American-English, takes pieces and parts from other languages – including Latin – and smashes them all together. Frequently, the smash results in some interesting grammar rules. Within hours of seeing that great sign, I read another blog: 7 bogus grammar ‘errors’ you don’t need to worry about. (Will. Not. Address. Formatting.) I like this blog because it vindicates my loathing of things people tried to teach me in elementary school that I just never understood (let’s not go there). And the first two errors – Don’t Split Infinities and Don’t End a Sentence with a Preposition – can be blamed on Latin. 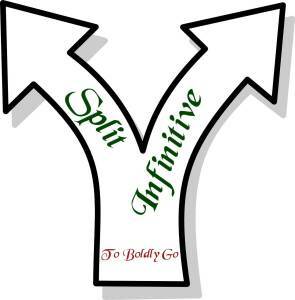 Go ahead and split that infinitive! OK, so back to grammar rules that aren’t, and how they relate to Latin. 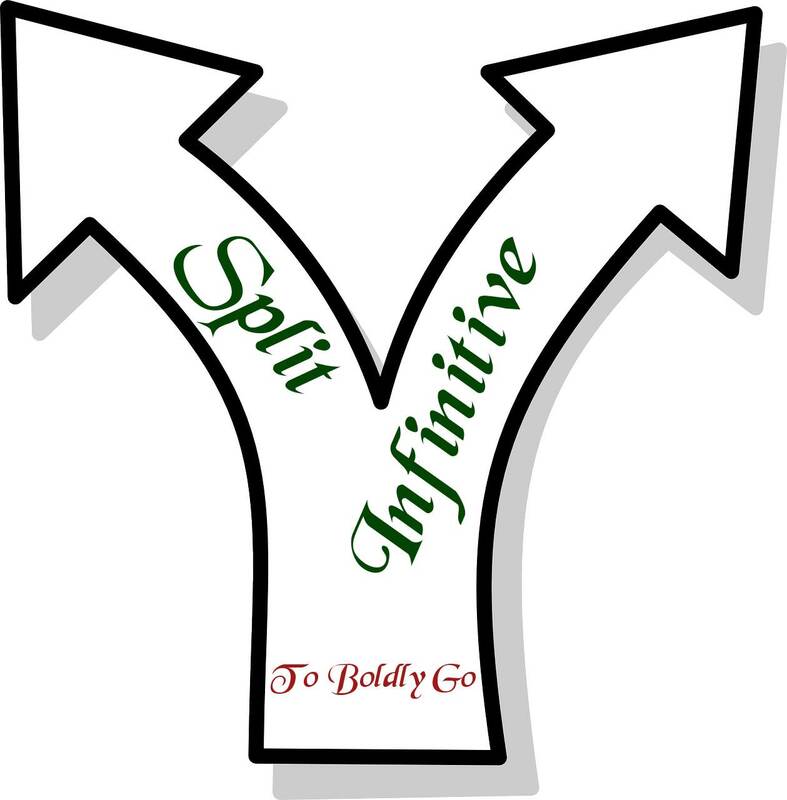 Both the split infinitive and preposition rules come directly from Latin. Turns out that in Latin you can’t split an infinitive or put a preposition at the end of a sentence. There is no rule; no rule was necessary, it is impossible to do those things in Latin. Back in the 19th century, everything Latin was “hot” with the social set and the Grammar Nazis decided that English should follow suit. However, as an influenced language, English already had the ability to do those things and rules around “should” only complicated things. I guess that blaming a language that hasn’t been in use for centuries for why my language is one of the most convoluted things currently around is less than fair. But it made a great headline, right? If you’re interested in my take on the remaining 5 “bogus grammar ‘errors’” provided by Mr. Yagoda, I’m sure I’ll get to them soon. I’m always interested in comments; and if you have a favorite word or grammar rant, I love to hear those as well.